Fall has fully and totally arrived in The LPV. After a relatively warm October, November has brought the cold, and the grey, and the blahs. That cheery, crisp, sunny, blue sky Autumn feeling has left me and now I find myself mourning the loss of my Provençal summer, and all of the things I loved about it. So you can imagine how I perked up when I saw that not only did Anna visit one of my favorite summertime spots, Cassis, but she ate in one of my favorite summertime restaurants... Bouillabaisse at Bonaparte's... I miss you so! It appears it's not only me who has been missing summer, Lily reminisced about her summer days boating in Amsterdam... floating along the canal, the sunshine beating on your face, glass of wine in hand... bliss! All of this summertime talk is actually making my blahs worse so let's turn the topic to something that makes me happy... wine! Jess, who can normally be found in Malta, popped on over to Sicily for a holiday (as one does) and instead of staying at a normal old hotel, checked into a vineyard. A VINEYARD! Jess, you are a girl after my own heart. But Jess wasn't the only one getting her wine on, Ella Coquine spent the weekend in Champagne. No, not swimming in a bottle (although that does sound fantastic), but in the actual place, Champagne. Gosh I love this country. And Danielle went to a festival in Paris which "honors the harvest of Clos Montmartre, the last remaining vineyard in the former village." Now doesn't that sound all kinds of civilized? You know what's not civilized but ridiculously fun? Having dinner with Jérémie. I know that sounds all sorts of confusing, but you just have to trust me on this one... click on over to Gwan's blog, and read her post about dinner with some random guy named Jérémie. You won't regret it, I promise. In other news... Selena visited Titanic Belfast which is something I'm dying to do (blame it on Leo), Deanna let us know why grocery shopping in Germany will drive you to drink, and Tina wrote a post about what it's like to be an expat, that had me nodding right along. So that's what has been happening lately with some of my favorite expats. Good stuff. Now let me ask you, who are some of your favorite expat bloggers? I feel like broadening my horizons. 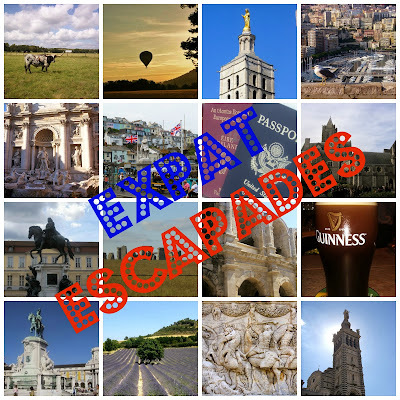 Thank you for the recommendation again, I would love to go back in the summer time, and thanks for featuring me in your expat escapades! I'm currently devouring the other posts. I love the way you do these, I do go on a little journey around the world which feels so small and lovely. "Not civilised, but ridiculously fun" - I love it, I might make that my tagline :) :) Thanks for the shout-out!! Deanna's post made me laugh out loud because it's sooo true! Loving the random dude called Jeremie! More posts to read! :) Thanks for sharing! Enjoyed the German grocery shopping post a lot! 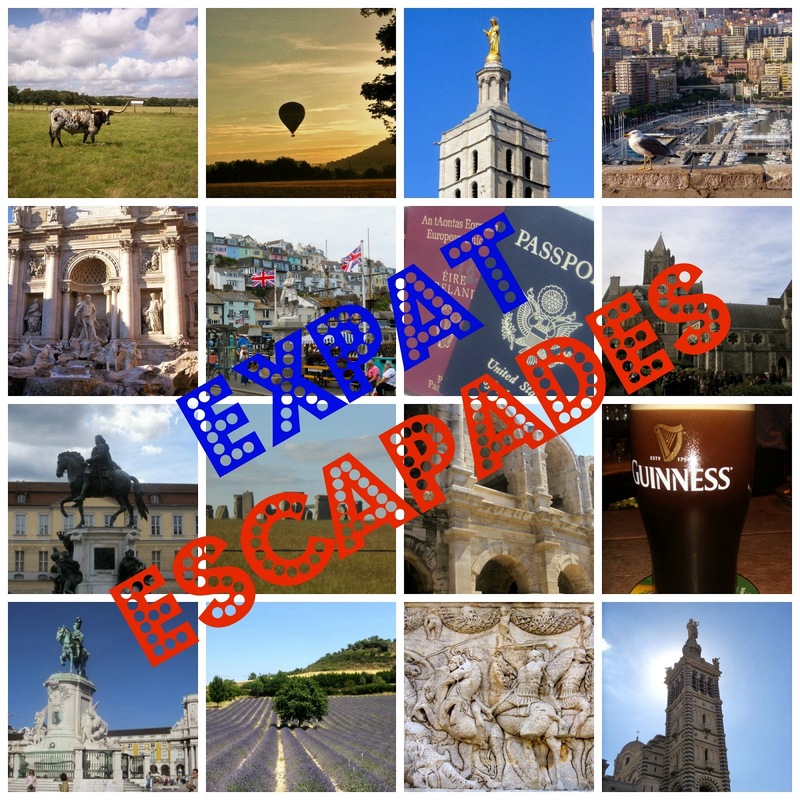 I think you already have my favourite expat blogger, Selena from Oh, the Places on your list already, but I also like A Compass Rose, Bangkok Girl & Postcards from Rachel. Excellent blogs! I love all of these blogs! So nice to read about fellow expats. Cat just wrote an incredible article on the internal expat conflicts: http://sunshineandsiestas.com/2013/11/05/the-guiri-complex-or-why-i-cant-have-it-all You'll love it! I'm so pleased that you are continuing with this series as you find some great posts and I discover some new blogs along the way too. First stop this week will be Cassis! Thank you for including my trip to Champagne to this round of Expat Escapades! I was in pure heaven.